Outsource press conference transcriptions to receive high-quality, affordable, and professional transcripts at cost-effective rates. Are you concerned by inefficient press conference transcription? Is your viewership affected by inaccuracy and glitches in video transcription of press conferences? Then outsourcing press conference transcription is the way to go. Press conferences are hectic affairs and are important meet-ups between public officials, sportsmen, celebrities, other public figures and the members of the press. This is where press conference transcription services come in. It makes the entire content readable, searchable, easily accessible, and popular among your core readership. At Outsource2india, we can help you leverage your press conference content to disseminate the message to a wider audience while creating maximum exposure for the same. With experience, we know that a press conference is unscripted, especially when questions are unplanned. Our fast, reliable, and confidential press conference transcription services in India are key to verbatim transcription. These conferences are the most general type of press releases and can cover a wide number of subject areas. Our transcription services ensure all the newsworthy statements are captured accurately and transcribed in as quick a time as possible. This ensures you can go live the transcript and reap the benefits of increased readership and marketing for your brand, especially if the transcript is of a trending topic. Product launches have become much more common nowadays, and range from launches for smart devices, software, services, etc. A launch related press release needs to cover all the important aspects of the product in question and has more emphasis on timeliness. At O2I, we have covered launch product releases for major brands, and our transcripts have been leveraged by clients including tech websites, bloggers, etc. Most press conferences are held with members of the media in mind. Event-related press conferences are a little different and need a thorough breakdown of the event as far as transcription of the conference goes. Event specifics need to be captured properly. So the general public can be notified much in advance, and in many cases, build the hype. Our specialized transcription services are ideal for such conferences and can provide you with a transcript in a format which you prefer, including bulleted points to make the information more digestible. Large companies usually announce new hires, yearly performance, etc. in the form of executive press conferences. Having covered a wide variety of executive press conferences for our clients around the world, we believe we are one of the few press conference transcription services providers out there to offer a niche service such as this. Our transcripts use templates tailor-made for such situations and can deliver accurate transcripts within a short duration of time. While this sort of press conference might not be that common nowadays, many large companies usually announce the joining of an expert to their team via a small press conference. Transcription for such press conferences means capturing each and every detail regarding the expert correctly and putting it together in an easy to understand manner. All our transcripts are made verbatim, ensuring no text is left out of the final documents unless required by you or when it needs to fit a template of your choice. Verbatim transcription ensures you never miss out on anything that was said during the conference and can take a call on what to include and what not to. Many of our competitors and newcomers to the world of transcription use advanced software and AI-based transcription tools, which sadly, are still not comparable to our human transcriptionists. Not only do their trained ears catch what software might miss, but getting the grammar and the tonality correct is also very important to transcription, something that we easily ace. We can prepare formatted transcriptions which are tailor-made for your press releases. By adding features such as Quotes, general notes, etc. we make the transcript much easier to work with and navigate. Time stamping is a very useful transcription method where the text is time stamped for easy visibility and searchability. Based upon your request, we can time stamp the transcript so that you can get to the part you want to quickly while benefiting from an enhanced user experience. Different media and press outlets work with different forms of transcripts, and prefer the services to be provided while using their template. At O2I, we easily adjust with such requirements and ensure all the transcriptions are provided in your chosen template. This is by far a huge advantage of outsourcing press conference transcription services to O2I, as it saves you a lot of time and ensures you can go live with the transcript as it is received. In the business of press conference transcription, it helps if we have the right industry relations in order to ensure your transcripts get published first or are ready to go to market immediately. Our industry know-how and years of experience has made us a known quantity in the field of press conference transcription, which you can leverage to your advantage. Why Should You Outsource Press Conference Transcription Services? 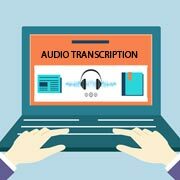 For an extremely busy organization, transcription is the easiest way to transcribe a broader range of material such as web conferences, corporate conferences, client webinars, training session conferences, medical conferences, etc. Thereby you can gain better SEO rankings for your site while keeping your audience hooked to your content. Outsource to ISO 9001:2015 accredited transcriptionists like us to get accurate press transcription. As a media house, you face the risk of increased overheads, R&D, marketing, and distribution expenses when it comes to translation being done in-house. These expenses then are transferred to your customer, while your competitors keep outsourcing and benefiting from all the advantages. Partnering with us for transcription services means you never have to face this issue again. We are ISO 27001:2013 accredited company that takes serious concern about the security of your data. Therefore, your data is always in safe hands. Partnering with us allows you to once again focus on your functions, goals, and overall strategies without having to worry about the transcription part. This is extremely helpful for media and press-related companies, where time is money and going online is the only way of still remaining effective in today's modern age. Our transcription turnaround times start from lesser than 24 hours, which is extremely important if you want to ride the wave of a breaking news story. With multiple teams and delivery centers, we can also ensure that the work is done while you sleep, resulting in some of the shortest turnaround times possible. The requirement for press conference transcription sometimes generate a vast volume of work to be covered in mere weeks and sometimes it ebbs into 2 or 3 conferences in a month. At such a time, having a full-time team working on the transcription can be incredibly taxing. Outsourcing the requirement to us, on the other hand, will ensure you can always cover your requirements because of our flexible and scalable services, which allow you the peace of mind. Our custom costing solutions ensure your requirement is always covered by a favorable pricing plan, whether you need transcription copies in bulk or only want to pay per-outcome. Our pricing strategy has been developed over the years after working with global clients, so we can ensure competitive pricing for whichever region you are based out of. We offer a dedicated contact who can be contacted to get essential information or simple updates on the transcription project. Get responded at blazing speeds without worrying about being put on hold. We have 500+ professionals aboard with high skills in press conference transcriptions. They are certified and possess excellent skills to interpret the accent and context of engagements to avoid making errors. The current market is extremely volatile, has stifling financial strain for media and press companies, and the gradual introduction of new technologies means you need to keep your processes extremely streamlined in order to remain in business. Partnering with us helps reduce this risk while ensuring you can keep your existing customer base engaged and try to grow it as efficiently as possible. Sharing data is never safe in the excessively digitized world. Therefore we take precaution to keep your data in secure storage and use SFTP and VPN to move the files from one destination to another. We offer round the clock support from your local time zone because we have a team of contact center specialists who are always beside your preferred channel. A phone call, email, or a simple ping over the web chat is all it takes to get in touch with us for support or other assistance. 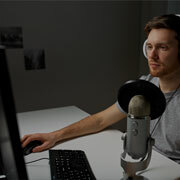 Close to nine hours of mock audio transcriptions were done by O2I with the right technology and skill. Transcriptions were delivered within 72 hours at 95% accuracy. Within 42 hours a US client's transcription task of nine hours was completed. The client was glad we delivered the solution within the stipulated time. 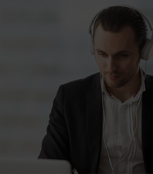 Outsourcing your business transcription requirements to us can save you time as well as money while helping you expand your business footprint and focusing on your customers. We can help you receive properly formatted, accurate, and professional transcripts at a fraction of the cost it takes to hire an in house staff. If you want to know more about our transcription services, contact us now!